A further cut in the Total Allowable Catch (TAC) for Lake Erie perch and walleye is a sign of the declining health of the resource. The TAC influences commercial limits on the Canadian side and recreational limits on the U.S. side. Fisheries managers from Ontario and American states bordering the lake recommended a TAC of 3.356 million walleye and 12.237 million pounds of yellow perch — a decrease in TAC for both species. The decreased hatch success in the lake’s western basin played a major part in the decision. Increasing nutrient loads are changing the western end of the lake, making the environment more hospitable for white perch, which prey on young yellow perch. Walleye were keeping white perch numbers in check when the population was high, following the successful 2003-year class. Walleye numbers are decreasing, however. Warmer winters are also a contributing factor. “Biologists don’t know if there is a specific reason for such wide extremes in spawning success, and why overall success has been lower since 2004,” said Ministry of Natural Resources (MNR) spokesman John Cooper. 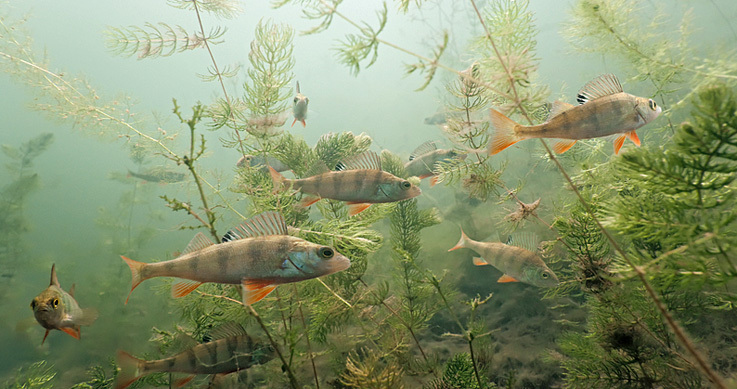 Perch populations in the lake’s central and eastern basins are faring better. “The Lake Erie Committee, in their 2012 announcement, pointed out that the yellow perch stocks appear to be healthier as one moves west to east across Lake Erie, consistent with environmental conditions, such as nutrient loads of recent years,” Cooper said.